For worldwide use in IoT applications, SIERRA WIRELESS presents the AirPrime EM7565, the first module with LTE Advanced Pro technology. The Canadian company once again proves its leadership in module solutions for IoT applications. The Sierra EM7565 supports LTE Advanced Pro technology with carrier aggregation and 256-QAM modulation for significantly higher data rates. In the downlink, up to 600 Mbps transmission speed are possible and in the uplink, up to 150 Mbps is possible, which is twice to three times faster than previous solutions. This significantly speeds up data transfer for your application. With support of 24 LTE frequency bands, the Sierra AirPrime EM7565 offers the possibility for use in LTE networks worldwide. The good cooperation between SIERRA WIRELESS and network operators worldwide is reflected in the carrier approvals for the module. With just one module, you can implement a worldwide applicable application with high-speed mobile radio. This reduces the number of different product variants and simplifies your logistics and production processes. 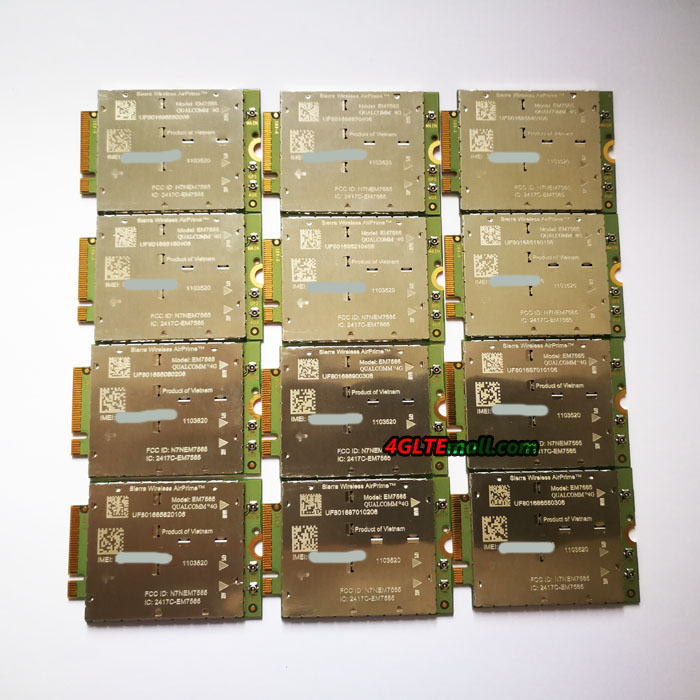 In addition to the EM7565 LTE advanced Pro module, additional modules with additional frequency bands for specialized applications follow. In addition to mobile communication, the module also enables position determination with worldwide GNSS systems. With GPS, GLONASS, Galileo and Beidou, a reliable and accurate location is possible worldwide. For the future-proofing of an application, it is often crucial that you can also update already delivered devices with firmware upgrades. Sierra Wireless offers “AirVantage FOTA”, a free platform for managing “over-the-air” firmware upgrades for your fleet of equipment. The modules of the EM series use the standardized “Next Generation Form Factor” M.2. 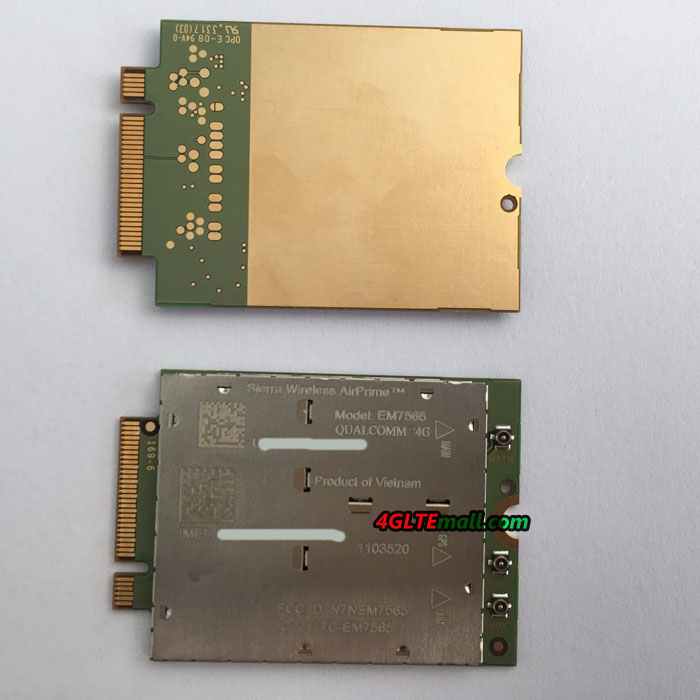 This is significantly smaller and thinner than previous solutions in PCIe MiniCard format. The interface to the host CPU is a fast USB 3.0 connection.